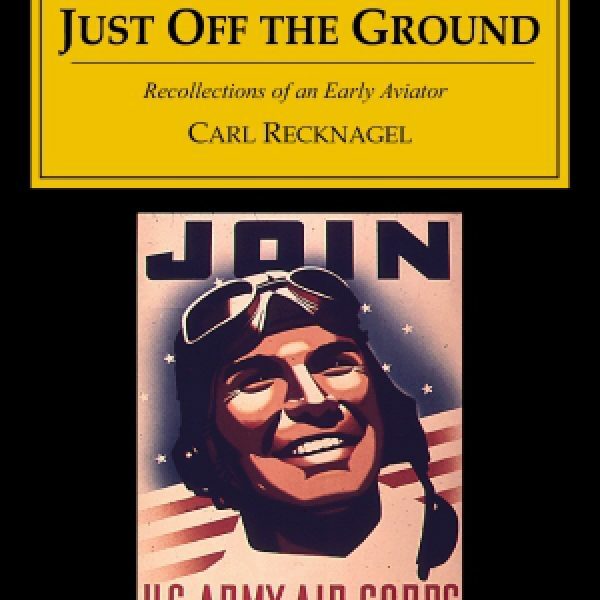 Relive the early days of aviation with Captain Carl “Reck” Recknagel. In this first-hand account he describes his many experiences in flight training: at March Field, California, in the mid-1920s, flying PT-3s and DH-4s, and in Kelly Field, Texas with the Army Air Corps attack flyers. He also tells of his assignment to the Third Attack Group at Fort Crockett, Texas, flying Curtiss Falcon A-3s. He finished second in the Patrick Trophy race in 1930, and had a Depression-era stint at Johnson Flying Service in Ohio, where the “fleet” included a Curtiss Pusher, an Aeronca, a Wright J-5 Waco, a J-5 Travelair, and a Kinner Bird. Eventually Recknagel landed a job with United Airlines and flew the popular Newark-Cleveland route, navigating by visible ground landmarks — and by asking his copilot where he thought they were. 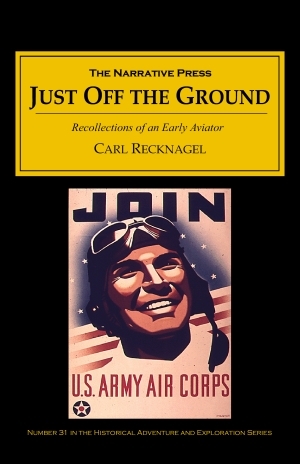 When WWII broke out, Recknagel served in Air Transport Command, flying over the Mediterranean and Eastern Europe from Naples. He later flew supplies and personnel to Southeast Asia during the Korean and Vietnam wars. Just Off The Ground is chock full of rich anecdotes: meetings with Orville Wright and Irv Woodring, entering the American Air Races in a modified one-wheeled Aeronca, a train ride with Wallace Beery, and much more. We were taken around the compound by a former member of the staff, and he pointed out the gruesome details without any show of embarrassment or guilt. 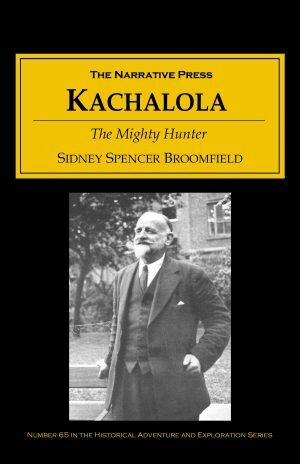 He could well have been a docent showing us through a museum…The special torture given to male inmates was described in detail…The ovens used for the disposal of victims were startling enough. Children got no special treatment, and I saw a tiny finger or two among the ashes. His casual treatment of such subjects makes them even more horrifying, and he makes always his opinion clear. Again the thrill of all thrills, this was having your own combat plane without the prying eyes of your superior officers on a hometown visit, and I made the most of it. Long before reaching Springfield, I got down on the deck and roared at treetop level through the town past the hospital, lacing the arrival with other dives on other ground objects including my own homestead. Just Off the Ground is a pleasant and easy read, a must for anyone interested in aviation.